In case if you were betting that Europe will be fixed over the weekend… the headline says it all. Friday’s “breakout” in stocks could be a head-fake. Via Telegraph. But then a new bombshell hit as a joint report by the EU and the International Monetary Fund (IMF) warned that, without a default, the Greek debt crisis alone could swallow the eurozone’s entire €440 billion bailout fund – leaving nothing to spare to help the affected banks of Italy, Spain or France. 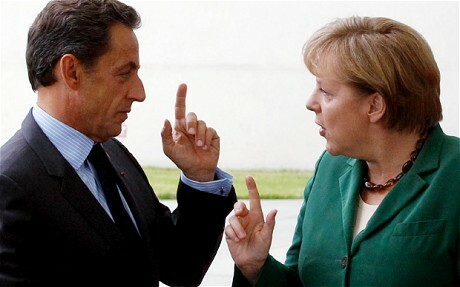 An EU already rocked by divisions between France and Germany over how to increase the “firepower” of the European Financial Stability Facility (EFSF) in order to save the wider eurozone from Greek contagion now faced the prospect of losing it all in one go. Compounding the trauma, Christine Lagarde, the French finance minister turned IMF chief – and one of the few key players who appeared to be enjoying herself in her new headmistress-like role – issued a grim warning to her former European peers. The IMF would no longer be willing to pick up a third of the total bill for rescuing Greece, a contribution worth €73 billion, unless European banks were prepared to write off 50 per cent of Greek debt. “It was grim. The worst mood I have ever seen, a complete mess,” said one eurozone finance minister.